"Other Versions of You", a feature film produced by Paper Ghost Pictures and directed by Motke Dapp, premiered at the 49th Nashville Film Festival May 11 with two sold out screenings. A subsequent scheduled screening on May 18 also sold out, prompting festival organizers to add a fourth screening on May 19. The film was honored with the festival's competitive Audience Award. Sara and costars Kris Wente and Brittany Belland discussed their characters, film motifs and the three-year journey in the making of the film at two post-screening "talk backs" with writer-director Motke Dapp and producers Ryan Hartstock and David Perry. 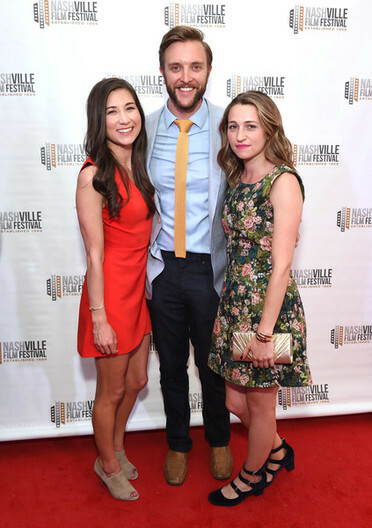 Sara Antonio pictured on the Nashville Film Festival red carpet with costars Kris Wente and Brittany Belland. 'Best Actress' win for "Use Your Words"
"Use Your Words," a short film in which Sara Antonio stars as a corporate executive leader who literally treats her employees like children, recently won Sara the "Best Actress" award at the Nashville 48 Hour Film Project. 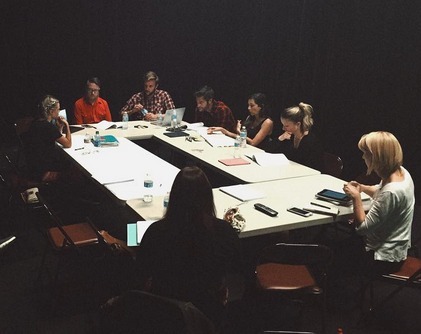 At the annual 48 Hour Film Project, filmmaking teams have just one weekend to make a short film. All creativity—writing, shooting, editing and adding a musical soundtrack—must occur in a 48 hour window beginning Friday evening at 7 p.m. and ending Sunday at 7 p.m. the following week, the completed films are screened to an eager audience. Sara Antonio recently wrapped the domestic portion of filming "Other Versions of You," a feature film produced by Paper Ghost Pictures and directed by Motke Dapp. 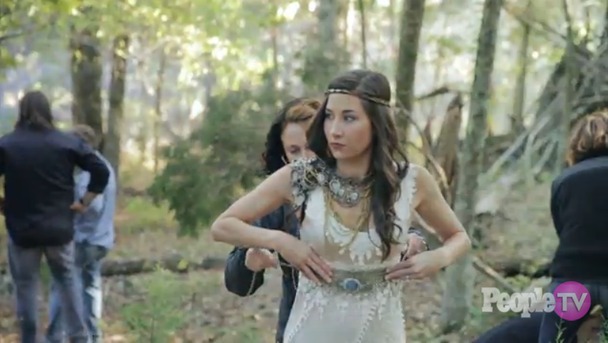 Filming took place over four weeks in multiple locations throughout Nashville, Tenn. This completes principal photography for "Other Versions of You," culminating footage previously shot in Iceland, including Reykjavik and Vik, as well as in the French Riviera. The unique love story set in parallel universes allowed Sara to play multiple versions of the same character, a dream come true for an actor. In preparation for the challenging task, Sara studied the work of actors with similar responsibilities, including Tatiana Maslany, who won an Emmy for her mesmerizing work on "Orphan Black." As Suzette Larking, Sara stars alongside Kris Wente as Diggsy, Brittany Belland as Daphne and "Total Divas'" C.J. Perry (aka: Lana) as Gwyneth. The film has key cameo appearances from notables, including former Titans player Eddie George, Travis Nicholson ("Still the King") and Alan Powell ("The Song"). Diggsy Ellston has been in love with Suzette Larking since he was a boy. When Suzette gets married to another man, Diggsy meets a stranger who offers him an unbelievable gift: the unusual possibility of finding another Suzette. This offering comes in the form of a key that opens doors into parallel universes. Universes where other versions of Suzette may not only exist, but where one of them could even possibly love him. Sounds magical, but there's one major catch: Once Diggsy uses the key, he can't go back; he will forever leave everyone and everything he has ever known. Diggsy's hesitation lies in the strong bond he shares with his sister, Daphne, but he justifies his decision to leave on the belief that she wants him to move on in life. With every new universe comes a new decision: Stay or leave? Settle or keep chasing the dream of finding a Suzette who will love him? Diggsy's journey is filled with comedy, heartbreak, adventure, and a heavy dose of fish out of water. 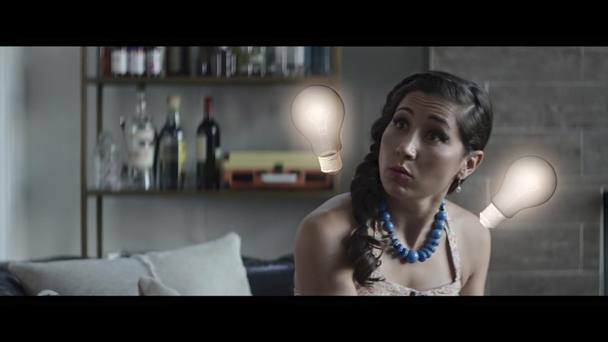 "Everyday Yeti," a short film in which Sara Antonio stars as the imaginary friend of an adult man (played by Matt Williams), screened at Festival de Cannes at the prestigious festival's Short Film Corner. Created as part of the 2015 Nashville 48 Hour Film Project, "Everyday Yeti" won the competition's top award - Best Film - as well as Best Director, Best Graphics and Best Film de Femme. "Everyday Yeti" competed at Filmapalooza this in March (where the winners of the 48 Hour Film Project in 130 cities come together to celebrate and compete for best 48 hour film in the world). The unique short placed in the top 10, won Best Graphics, was nominated for Best Actor, and was chosen to play at the Festival de Cannes Short Film Corner this year. 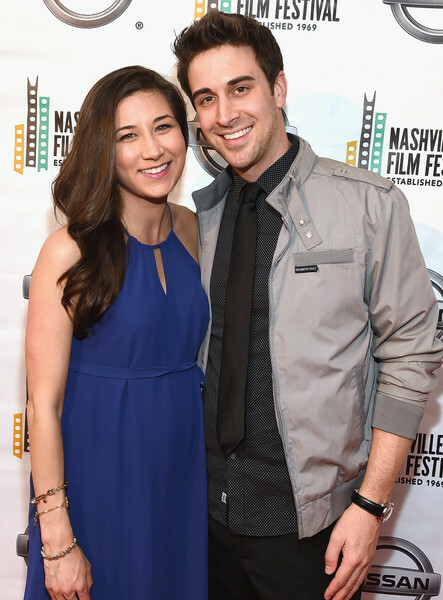 In addition, "Everyday Yeti" screened at the 2016 Nashville Film Festival (NashFilm), April 14 to April 23. An audience favorite, the charming and quirky film tied for third place for the Tennessee Horizon Audience Award for Best Shorts. Founded in 1969 by Mary Jane Coleman, the Nashville Film Festival (NashFilm) was originally known as the Sinking Creek Film Celebration. Nearly 20 years later it was renamed as the Nashville Independent Film Festival and, later, the Nashville Film Festival in 2003. It was voted one of “25 film festivals worth the entry fee” by MovieMaker Magazine and highlighted as One of the Best Film Festival Prizes by Film Festival Today. Brooks Institute named it one of the top 5 film festivals in the U.S. Principal photography has recently wrapped on "The Reason," a faith-based feature film starring Sara Antonio, Academy Award-winner Louis Gossett Jr., and Tatyana Ali ("Fresh Prince of Bel Air"), alongside Kelly Carlson ("Nip/Tuck"), Beverly Todd ("The Bucket List"), Burgess Jenkins ("Army Wives"), Alan Powell ("The Song) and Kris Wente. "Everday Yeti," a short film in which Sara Antonio stars as an adult man's imaginary friend, recently took home the "Best Film" award at the Nashville 48 Hour Film Project. The film will continue on to the national 48 Hour Film competition in Los Angeles, and will also screen at the 2016 Nashville Film Festival. "Everyday Yeti" also won for "Best Graphics", "Best Director" and best in its category, "Film de Femme." During the annual competition, filmmaking teams have just one weekend to make a short film. All creativity—writing, shooting, editing and adding a musical soundtrack—must occur in a 48 hour window beginning Friday evening at 7:00 p.m. and ending Sunday at 7:00 p.m.
Sara recently complete shooting scenes for a guest star role on "The Inspectors", a new CBS crime drama about the U.S. Postal Inspection Service. 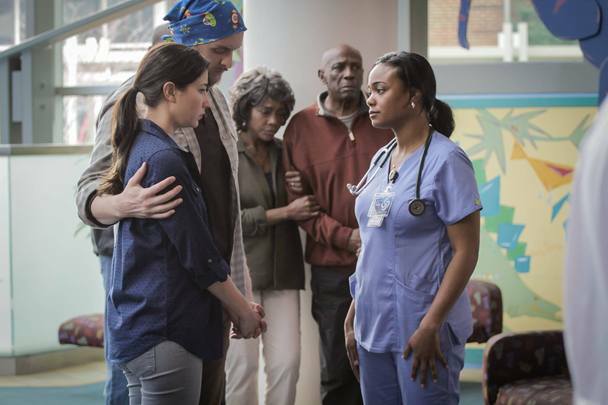 The family-friendly series will premiere Oct. 3. Sara's character, Lauren Kelly, is central to the season's 17th episode, entitled "Identity." 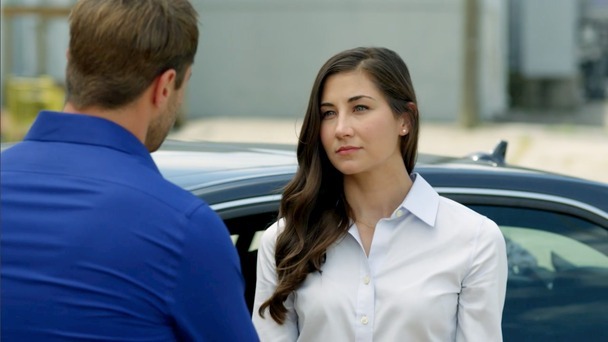 A new campaign launching Zaxby's "House Zalad" features Sara Antonio as a production assistant to country music stars Brett Eldredge and Thomas Rhett. Sara Antonio recently wrapped the international phase of shooting scenes for the feature film "Other Versions of You." 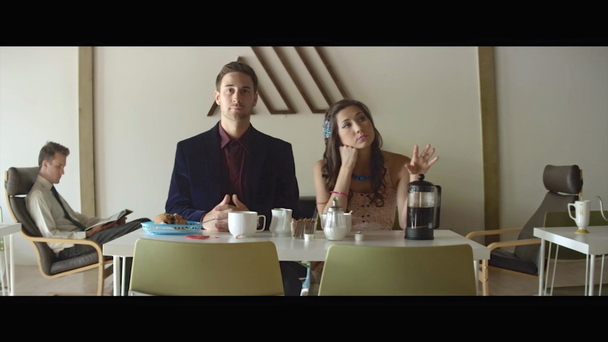 Produced by Paper Ghost Pictures and directed by Motke Dapp, "Other Versions of You" is a romance/adventure story; after the girl he loves gets married, Diggsy Ellston explores parallel universes to find another version of this girl who will love him back. Sara plays the role of Suzette Larking, the object of Diggsy's affections. The cast and crew shot in numerous breathtaking locations in Iceland, including Reykjavik and Vik (and other scenic locales along the way), as well as in the French Riviera, basecamping in Cannes and making daytrips to Nice, Eze and other destinations. The film will complete shooting in Nashville, Tenn in 2016. Nominee for CMT Music Awards' "Female Video of the Year"
Nominees for the 2015 CMT Music Awards were announced today: Carrie Underwood's hit single, "Little Toy Guns," in which Sara Antonio plays the role of the wife and mother, was nominated for "Female Video of the Year." The 2015 CMT Music Awards will air live from Nashville’s Bridgestone Arena on June 10 at 8 p.m. ET. Sara Antonio appeared as the lead actress in two short films - "Springtime in the Sorrowing Hole" and "The Window East" - premiering at the 2015 Nashville Film Festival (NaFF). Celebrating its 46th year, NaFF is an Academy Award®-qualifying festival, and was named one of the top five film festivals in the United States by the Brooks Institute. Set in Holland during the waning days of World War II, "Springtime" tells the story of a remorseful Dutch Armed Forces veteran who recalls his part in the country's campaign for vengeance during the last spring of the war. It was a cloudy May day in the Hollish countryside when he hunted down a woman on the run with her Nazi affiliated husband. As each haunting detail of the chase is revealed, the man realizes he can't escape the timeless consequences of being unforgiving. The Window East is a World War II drama set in small town Nebraska, as two strangers, George and Susan, find each other among the chaos. With a potential invasion on the horizon, and the uncertainty of the future growing every day, the two find a glimpse of happiness in each other, and a chance to recapture the lives they lost, if only momentarily. In a few brief days, the two pick up the pieces of their lost dreams and regain a glimmer of hope for a better life after the war. Nashville Film Festival (NaFF), April 16 – 25, 2015, brings the world to Nashville in a 10-day celebration of film. NaFF honors the diversity of the human vision by curating varied program segments and partnering with nearly 100 community organizations. Founded in 1969 by Mary Jane Coleman, it is one of the oldest film festivals in the U.S. Each year NaFF attracts hundreds of filmmakers, actors, screenwriters, musicians, industry insiders, world media and over 40,000 film fans to celebrate with over 250 films from over 50 countries. A team of 500 volunteers make NaFF happen. As an Academy Award Qualifying Event, NaFF garners notice from the Associated Press, The New York Times, The Wall Street Journal, MovieMaker Magazine, IndieWire, Variety, Billboard, New York and Script Magazine. 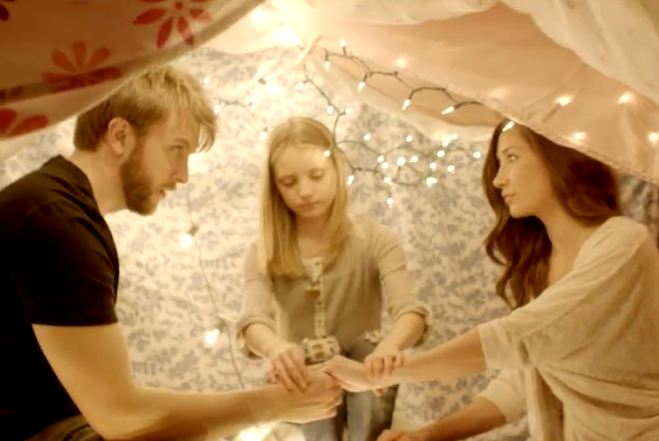 Sara Antonio stars as the wife and mother in the cinematic music video for Carrie Underwood's newest single, "Little Toy Guns." The video was released via Carrie Underwood's Facebook fan page on Jan. 30, where it garnered more than 7 million views within the first three days. "Little Toy Guns" is now also viewable on YouTube.